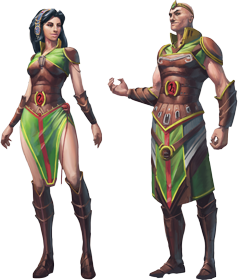 In celebration of the unveiling of Ariane’s first two quests, I have stocked my store with the most fitting of tributes: Hero Packs, inspired by Ozan and Ariane! Those questing head-first into the unknown mysteries of the Wizards’ Tower can do so in style with these exquisite packs. 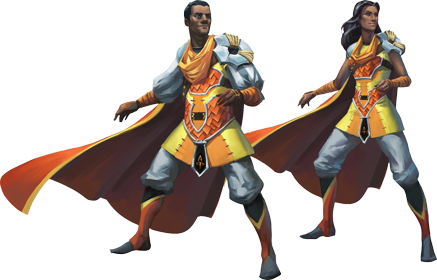 Each contains a full outfit – indeed, inspired by Ariane or Ozan – alongside a unique emote, teleport animation and weapon override. The discerning adventurer choosing Ariane’s pack will wield her mighty staff; archers among you have your tastes catered for with Ozan’s bow. Both of these inimitable packs are available right now from my store. Do you have any queries regarding my distinguished boutique? I’m confident you’ll find an answer in the comprehensive FAQ, found here.